Last weekend I visited my parents, ended up in the loft and came across a box of old vinyl – and there it was. Boy, oh Boy. While the rest of my family watched the Ten O’clock News I was travelling back in time, listening to John Peel through the stereo, wearing oversized headphones and hearing “I Will Follow” for the first time and being blown away. There are hundreds of sleeves I love, from old jazz covers to underground dance. I have a favourite every week. What puts this sleeve right up there for me is how evocative of the time it was and how – without warning – it probably shaped what I now do for a living. I remember the process of hearing the track, shouting out how amazing it was to my family, being told to “shut it” as they couldn’t hear Kate Adie from war-torn Iran, ordering it from the local TV shop that doubled up as a record shop – until finally, there it was in my hands. The excitement, the thick plastic dust cover, the reverse board, the sleeve notes, those hairstyles, the beautiful Larry Mullen. There was ’Boy', his innocent little face gazing back at me. What did that face mean? Was it one of the band as a child? Was it really about the transition from childhood to adolescence? Did I even care? Turns out it was the brother of a friend of the band who also appeared on the cover of War [U2’s third album, released 1983]. I believe he has now photographed the band himself. I’m not sure there was much of a back-story or concept to the sleeve but for my teenage self it was everything. Alison Fielding will be speaking at tonight's Cover Club event at The Ace Hotel, Shoreditch, 7pm — 9.45pm. FREE entry. 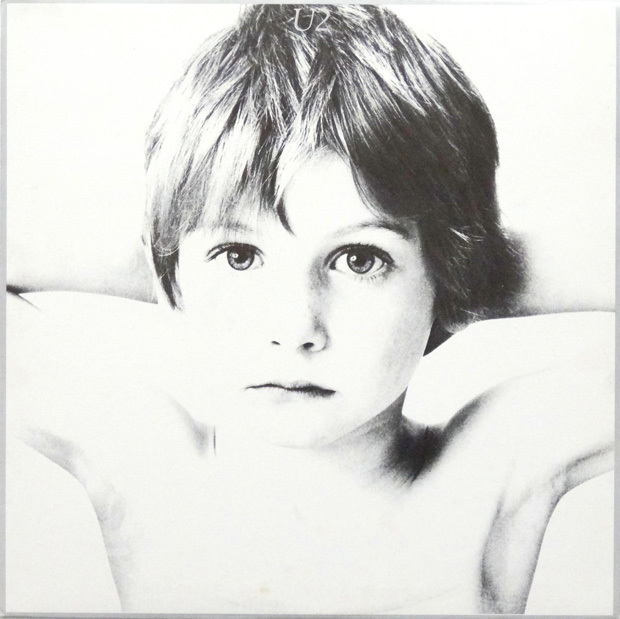 U2’s debut album Boy was released in 1980 and the band at that time seems worlds away from what it is today. It would have been difficult for new converts to U2’s 1980 post-punk Dublin teen rock to envisage the world-straddling stadium rockers of today. The album features U2’s first hit single I Will Follow, which is the only U2 song to have been performed on every singe tour since. Alison Fielding has been designing your record collection for over twenty years, from The Prodigy’s Music For A Jilted Generation (1994) to Daughter’s latest album Not To Disappear (2016). As well as being creative director of Gas Associates, Fielding is head of creative at independent record label Beggar’s Group, which has its roots in the London record store Beggars Banquet and today is home to 4AD, Matador, Rough Trade Records, XL Recordings and Young Turks.